Application research on key technologies for crack control of super-long concrete structures in engineering Yang Yichao;Zhang Defeng;Feng Weiming;Gu Zhengyu;Pan Zuanfeng;Wang Chaowei;Shanghai Tobacco Group Co. 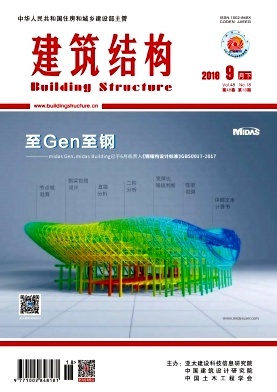 Discussion and analysis on stability calculation method of T-shape,L-shape,trough-shape and I-shape shear walls with constant section Deng Jianqiang;Wei Cheng;Foshan Lingnan Architectural Design Consultiong Co.
Design and optimization of pile foundation in the southern district of Suzhou Central Square project Zhong Jianmin;Suzhou Nine Urban Architectural Design Co. Application research on local compression capacity of the concrete member with double layer hoop in the design of one column with one pile Xiao Fei;Zhang Yuliang;Ji Han;Chen Yanzhou;Central-South Architectural Design Institute Co. Discussion on water buoyancy in the basement design Li Guosheng;Tongling Construction Engineering Drawing Design Review Co.